One of the largely ignored angles in transgender news coverage is the opposition of some feminists to the claims advanced by transgender activists. Wilfrid Laurier University seems keen on keeping this angle ignored. At WLU, only undergraduate students can be executives and members of official student clubs. Graduate students do not have their own clubs, and they cannot hold positions within undergraduate clubs. Due to this bureaucratic overlook, and seeing as LSOI President Lindsay Shepherd and many other members are graduate students, they could not apply for official club status. 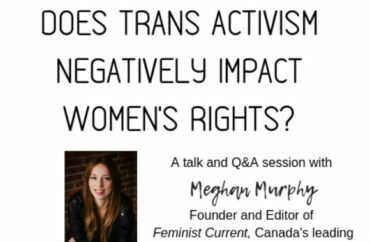 The invited speaker for the Oct. 24 event is the editor of Canadian feminist website Feminist Current, Meghan Murphy, who has a master’s degree in gender, sexuality, and women’s studies. She will talk about “human rights and feminism on a university campus,” but WLU is forcing the society – which was formed to hear “ideas from across the political spectrum” – to use its own money “to pay for others to threaten their event!” the group said. Feminists who are critical of transgender ideology and claim it’s an attack on feminism are sometimes referred to as “trans-exclusionary radical feminists,” or TERFs. The society claims to have more than 180 members. 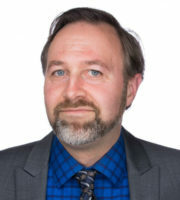 It has held several events in the Waterloo region, where WLU has a campus, with speakers from all over the political spectrum, but not all have happened on campus. A journalism professor who helped design WLU’s statement on “commitment to freedom of thought” resigned from the relevant task force in protest of this fee on the Widdowson event, though the society managed to crowdfund the money to pay for security. LSOI strongly believes we need to keep the spirit of free speech and open inquiry alive in our universities, and radical protestors should NOT be allowed to shut down politically incorrect views through their threats and violence. Unfortunately, universities enable these protestors, and LSOI must do everything they can to succeed despite the obstacles WLU puts them through. The Fix has asked the university to provide the detailed rationale for the Murphy fee and answer the society’s claim that it’s forcing the group to pay for the bad behavior of protesters.